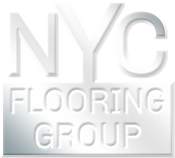 NYC Flooring Group is proud to carry the following named residential carpet and commercial carpet brands. Atlas Mills carpet, Milliken carpet, Burtco carpet, Cabin Craft carpet, Queen carpet, Philadelphia carpet, Sutton carpet, Tuftex carpet, Couture carpet, Shaw Mark carpet, Shaw carpet, Gulistan carpet, Galaxy carpet, Durkan carpet, Holytex carpet, Stanton Carpet, South Wind Carpet, Kathy Ireland home carpet, Mannington carpet, Wunda Weave Carpet, Horizon Carpet, Mohawk Carpet, Aladdin carpet, Durkan carpet, Bigelow carpet, Karastan carpet, Lees carpet, Holytex carpet, Masland carpet, Patcraft carpet, Cambridge carpet, Aqua carpet, Blueridge carpet, j+j Invission carpet. Please inquire for more brands we carry. Our price match guarantee ensures that no matter where you shop, where you search for carpet prices, you won’t find prices lower than ours.